One of the questions we hear frequently is “How many homeless people are in South Bend“? 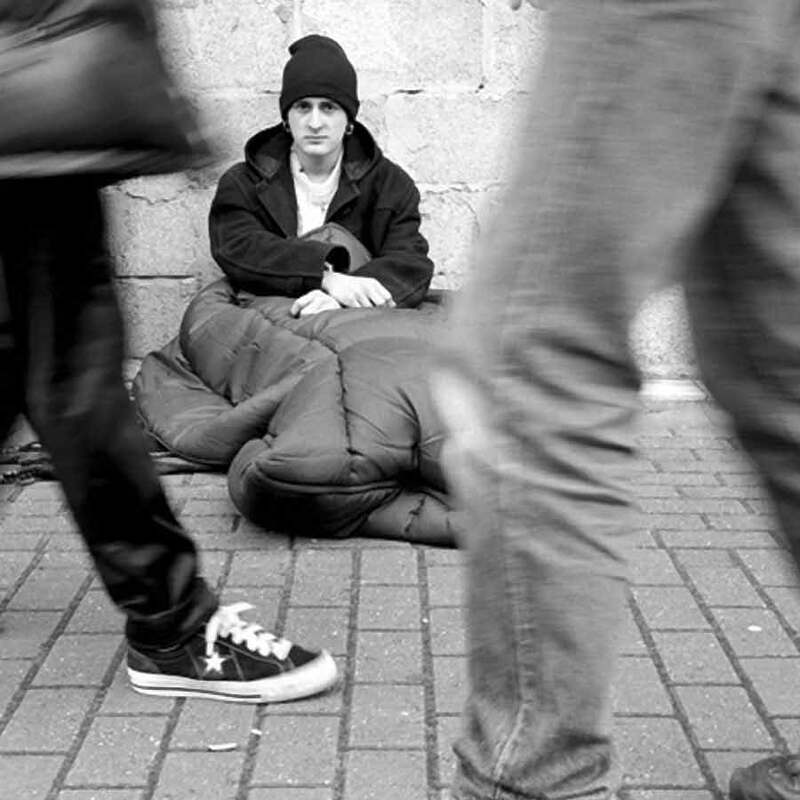 Each year across the nation an attempt is made to complete a “point in time” count of the homeless population. In South Bend this is completed annually around the first part of the year. 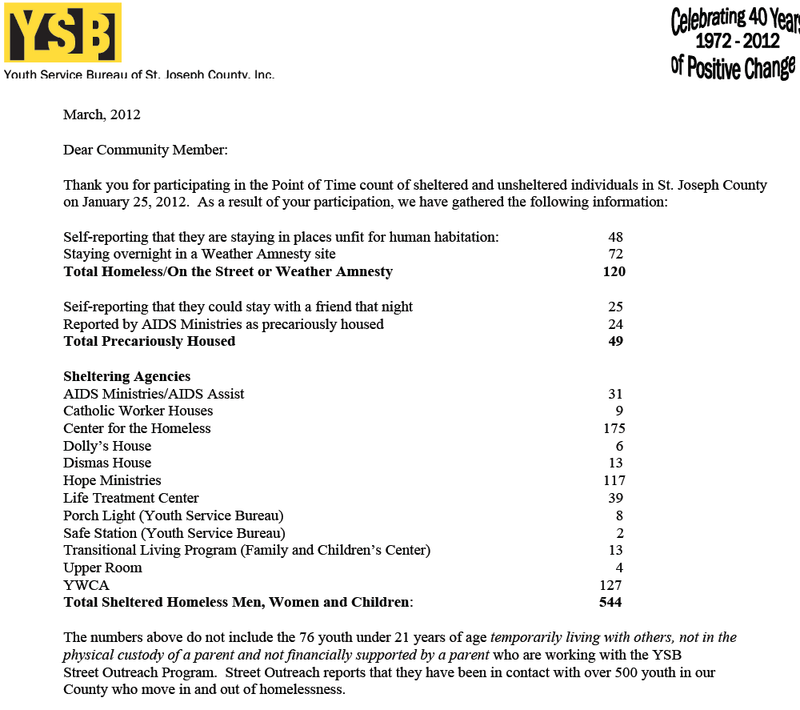 The snapshot below is a summary of the St. Joseph County point in time count from January 2012. Remember this is a count from ONE DAY in the year. 120 individuals were classified as completely homeless on the street or staying in weather amnesty. While many find this number surprising did you notice how other agencies in the city have stepped up and are sheltering over 500 individuals! The last statement in the snapshot below is one that also humbling – Street Outreach reports that they have been in contact with over 500 youth in our County who move in and out of homelessness. Lord let us NOTICE (James 2:1-9) these people in our community and let us all be MOVED (Matthew 25:31-46) to act to YOUR glory (Colossians 3:17).